to the Taxation of Business Entities! If the top corporate rate drops to 15% and if certain pass-through income is taxed at 15%, many planning issues and strategies will present themselves to business-owner clients, particularly those using pass-through entities. And you better be ready and have answers for them! While many estate planners have a grasp on the conceptual aspects of partnership, S-Corp and C-Corp taxation, very few remember all the intricacies and know how Trump’s Tax Reform will impact client planning. That’s why we’ve enlisted the help of nationally renowned CPA and tax expert, Robert S. Keebler, CPA/PFS, MST, AEP (Distinguished), CGMA. Join us on Tuesday, June 27th, 2017 at 9am Pacific Time (12pm Eastern Time) for a very special and timely teleconference entitled, “The Trump Tax Plan: The Implications of Rate Reduction & Entity Planning”. Plus, Bob will provide you some expert insight as to where Congress is likely going with this pending Tax Reform! 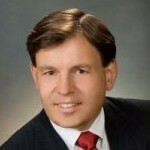 If you combine your registration with this teleconference and Bob’s upcoming 60-minute teleconference entitled, “The Trump Tax Plan: An Overview” on Tuesday, June 13th, you can save $50 on your total purchase. Simply enter the promo code REFORM when checking out. Both programs must be purchased at the same time for the promotion to work. 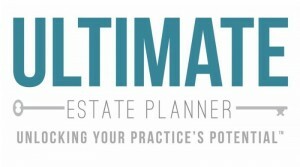 If you’ve already registered for one of these programs, please contact our office at events@ultimateestateplanner.com to inquire about how to take advantage of this special bundle offer. Tuesday, June 27, 2017 at 9am Pacific Time (12pm Eastern Time). Duration: 90 minutes. Includes: Teleconference Participation, Handouts and Recordings. Tuesday, June 27, 2017 at 9am Pacific Time (12pm Eastern Time). Duration: 90 minutes. Includes: Teleconference Participation, Handouts and Recordings, plus Printed Handouts and Audio CDs.